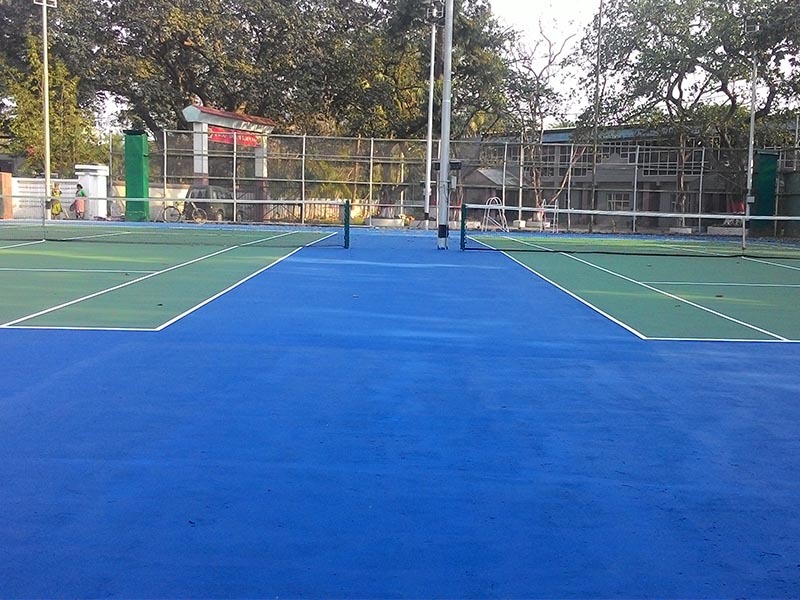 Synthetic Surface and Flooring of Tennis Court – Costa Sports Systems Pvt. Ltd.
Additional clear space around the court is needed in order for players to reach overrun balls for a total of 18.3 meters (60 feet) wide and 36.7 meters (120 feet) long. 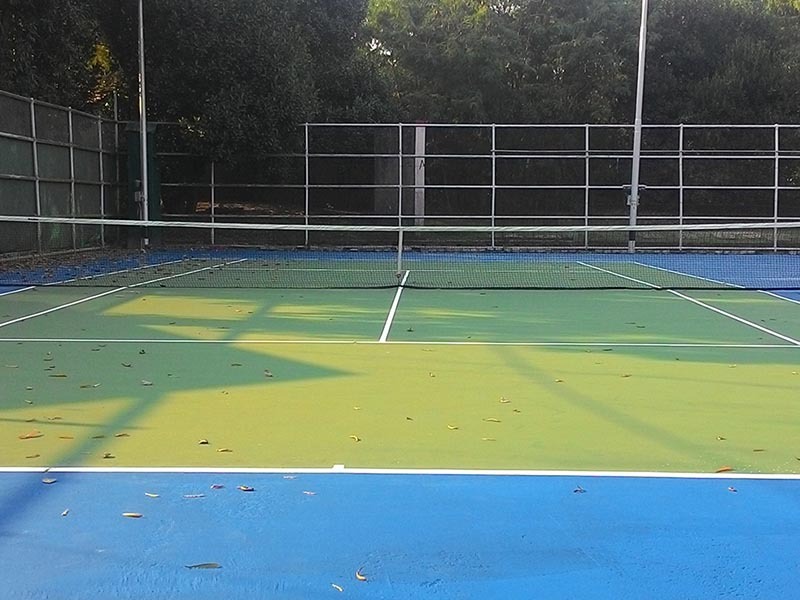 Synthetic is the need of the time for tennis courts. COSTA is the leading manufacturer of the courts of different sports among which tennis court is one of the significant ones. The material that our company offers is able to withstand all types of weather and climatic conditions. Thus anywhere in India COSTA strives to offer its dedicated service. Synthetic is used for the court for it stays unchanged in the long run. We (synthetic surface developer in India) will provide you synthetic that give a proper elasticity and cushion to the floor. The floor is UV resistant and won’t be affected by fungus, bacteria or any kind of insects. The antimicrobial layer that we provide in the flooring makes it durable up to 20 years. When you are selecting the synthetic surface of tennis court, you are choosing the easy or zero maintenance way. The professional installation of our company will offer you a smooth finish that will allow the foot work done swiftly. This will not give the effect of the concrete court that is hard but will enable a faster pace. Some have the fascination of practicing in the traditional green grass court. We at COSTA also have arrangements to make the artificial green grass court that will give you the right feel according to your preference. We work in standard measurements of a regular tennis court leaving areas around the court. Frictional finesse is maintained to get the game run in comfortable manner. The beauty along with the best usage is kept in mind by our experts while preparing the tennis courts.